We provide, develop and support some of the most powerful Web business solutions available. The products listed below can be customized to meet any business or personal need. These solutions offer the most up-to-date technology and are fully extensible to meet any or all of your business needs. 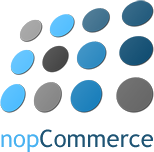 eCommerce We can support your current eCommerce solution or design you a new one using nopCommerce and eCommerce content management system. We specialize with PayPal Api and we can work with AuthorizeNet. Content Management Systems (CMS) We now support, design and develop for mojoPortal. We will continue to support DotNetNuke and it's new initatives. A large variety of peices and parts for your need. Analize your Web site traffic with this handy tool. AJAX applications have Google Maps and Google Search. Real Estate, Transportation Industry, Inventory Management. Contact us for more pricing or information related to these solutions.